Tales of Symphonia HD remake coming to PS3? 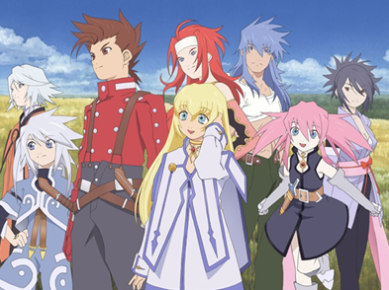 JRPG fans can rejoice as Lloyd Irving and the classic series Tales of Symphonia is set to make a return in style. A HD re-release is in the works for playstation 3 owners, as a report claims. And that's not all. This collection will also include the once exclusive Wii title Tales of Symphonia: Dawn of the New World, a sequel to the original game. Both titles will be polished up and revamped in stunning HD. "a representation of the dreams and hopes of the fans, who have long been wanting it". Have never played it but shoot I'd buy it. Yes, please. Thank you based Namco. I wonder if they'll be making these remakes for all Tales games. It would be cool if there was an HD remake of Tales of the World: Radiant Mythology, though. That game was rad.